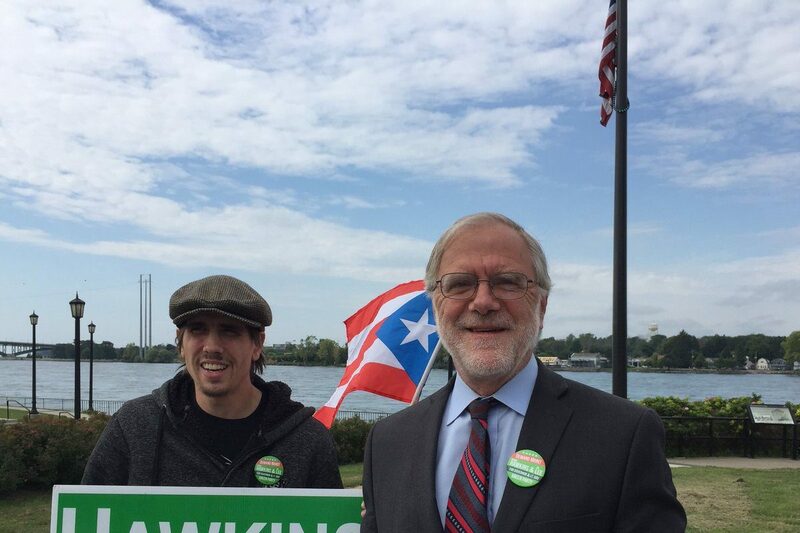 Hawkins, a Syracuse resident who has run for office for the Green Party in races ranging from city offices to U.S. Senate and the U.S. House, said he and the Green Party hope to improve upon the 2014 numbers. "I just think the media and the public need to be reminded that we got 5 percent," Hawkins said. "You look at that historically … no party on the left, independent, got more votes than we did as a percentage. ... That’s significant." That 5 percent responded to issues that have borne them out since the Green Party was pushing them, Hawkins said. "We were talking about a ban on fracking, paid family leave, $15 minimum wage, tuition free higher education, criminal justice reforms, backing off on high-stakes testing. And we’ve had progress and movement or at least talk in all those areas. "We don’t have to win the office to have an influence. Of course, we do want to win the office." Hawkins took note of the one-year anniversary of Hurricane Maria hitting Puerto Rico. "This is something that really concerns us in the Green Party," he said. "The performance of the federal government has been disgraceful. What we really need is to cancel the debt on Puerto Rico, eliminate the control board so they can determine their own future, fund reconstruction and solarize the island. They're paying premium prices to bring in oil to burn. That's old technology that is bad for the climate." Hawkins, who was joined by two staffers in a Thursday morning event that was attended by two reporters, said that progress on issues that he has been behind, like fracking, buoy him in an uphill climb against larger political parties. "I’ve been active in movements for peace, justice, labor, the environment, since the 1960s, and I’ve been involved in so many movements where we were the minority, a tiny minority," he said. "We had the whole power structure globally against us" with fracking, "and we won that demand. That’s what gives me optimism. "I think the next thing we want to do is break through. Public opinion polls say the majority of people in this country want a third party. ... I think we’re on the verge of a breakthrough there. I don’t know if it will be this election, but I think it’s coming. And that’s what gives me optimism and keeps me going."